Raheem Hanifa received his Master of Public Policy degree at University of California-Berkeley in 2014 and is currently an Analyst at the U.S. Government Accountability Office. 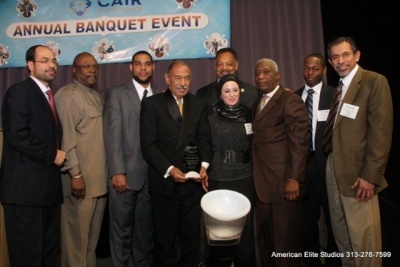 Raheem Hanifa "has worked as the Outreach Coordinator for the Council on American Islamic Relations-Michigan (CAIR-MI). He has been responsible for CAIR-MI workshops and trainings, including the PITFA workshop (Presenting Islam to Fellow Americans), Speaker’s Bureau Emerging Leadership trainings, coalition building and political outreach. Raheem graduated with a B.A. in Political Science and Sociology from Michigan State University and has experience working on political and social grassroots campaigns. 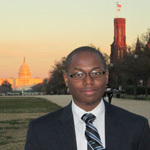 Raheem interned with the Congressional Research Service (CRS), the official think-tank of Congress, in Washington DC. In addition to taking policy courses with leading academics and former high ranking government officials Raheem worked closely with former U.S. Labor Secretary Robert Reich as a Graduate Student Instructor (GSI) teaching two sections of Robert Reich’s “Wealth & Poverty” course. As a campaign organizer and Michigan House of Representatives intern, Raheem has extensive advocacy and political organizing experience. He has worked as an assistant director for political and social grassroots campaigns across the country. Raheem has run campaign offices in Nevada, New Hampshire, and throughout Michigan. As an intern within the House Communications office for the Michigan House of Representatives, Raheem worked in different areas pertaining to media and communications. He assisted Michigan House of Representative staff with press releases, television broadcasting, and research." Raheem Hanifa was a recipient of the Islamic Scholarship Fund in 2012. This page was last modified on 13 March 2017, at 02:55.